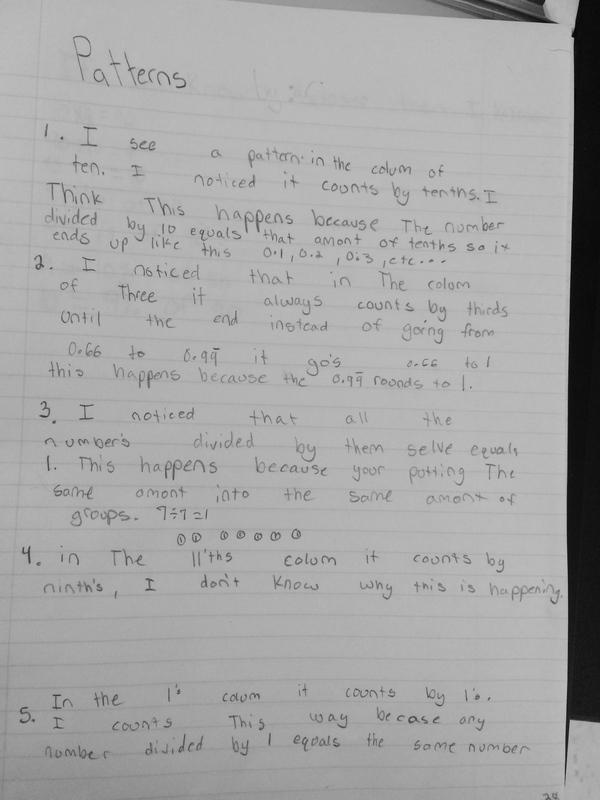 After this lesson from last year: https://mathmindsblog.wordpress.com/2014/03/18/fraction-to-decimal-division-table-noticings/ a lot of the same patterns emerged from the students. 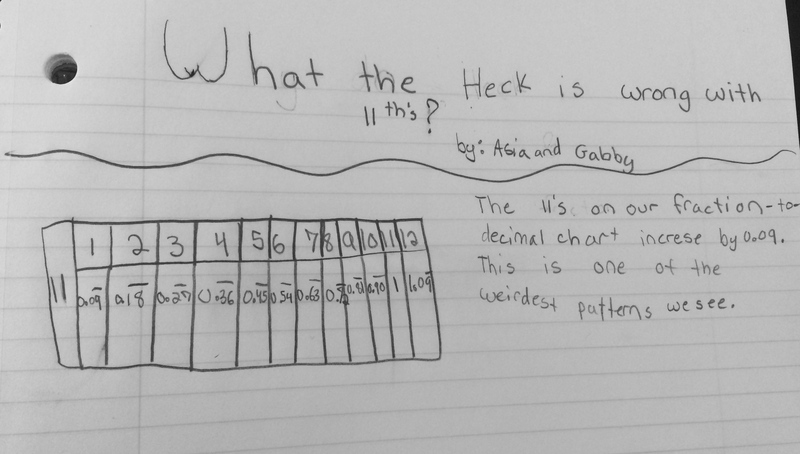 There is, however, one fraction that still drives them crazy…the 11ths. Here it is showing up on two of the students’ papers…you can tell the 11ths are a thorn in their side! I will keep you posted on their findings…. 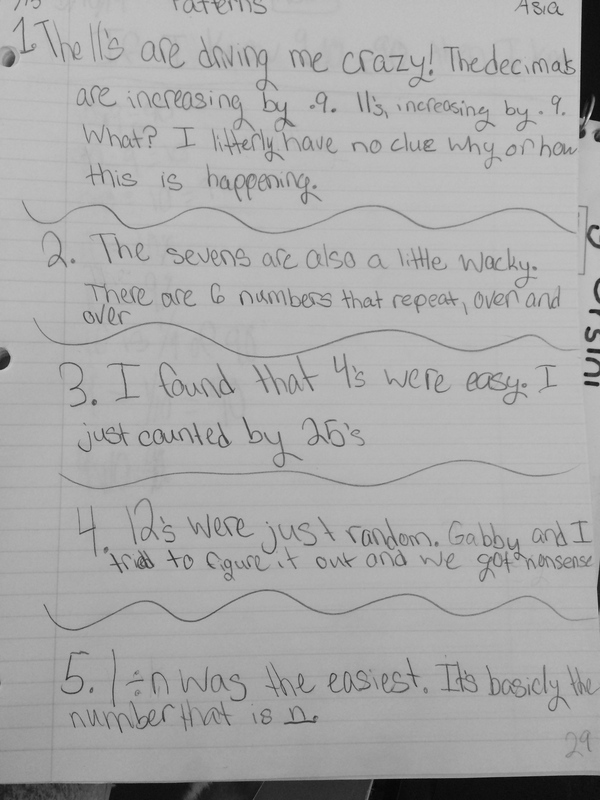 This entry was posted in 5th Grade, Decimals and tagged 5th Grade, decimals on March 12, 2015 by mathmindsblog.